Here at Kids Activities Blog we are always looking for good laundry hacks. Summer brings with it a lots fun: sports, swimming, camping, barbecues, and more. But with all that fun comes extra laundry. 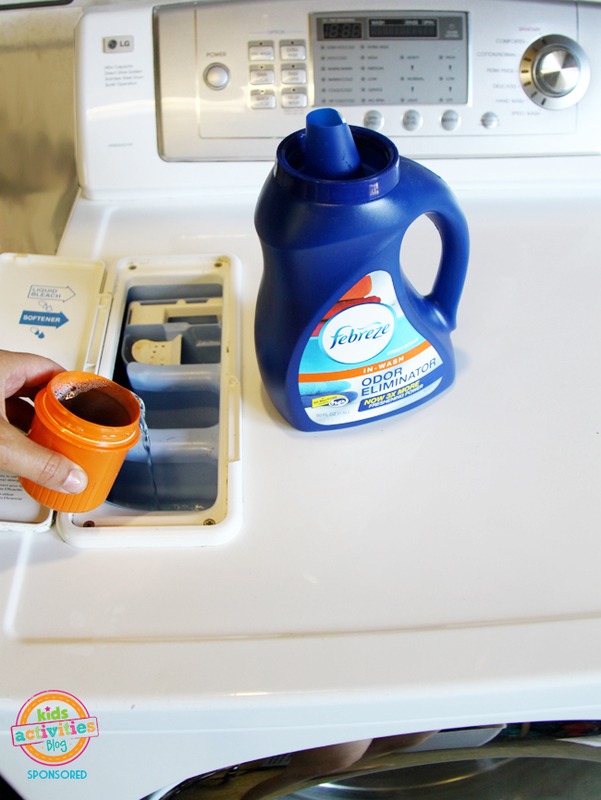 We partnered with our sponsor, Febreze In-Wash Odor Eliminator, to bring you ten awesome tips that will make tackling summer laundry a breeze. From The Car Straight Into The Machine. 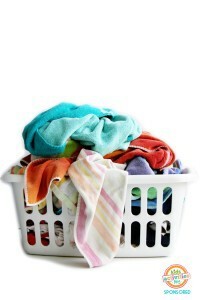 Try to put beach or pool laundry straight into the washer as soon as you get home. As you unload the car and the kids strip down get all that wet sandy stuff directly into the washer and the hard part is done. Sort As You Go. Having separate hampers for lights, darks, and delicates means all of the sorting is done when you’re ready to wash.
Stop The Stink. Summer is full of stinky laundry. From sweat to grease, campfire smoke to forgotten towels, Febreze In-Wash Odor Eliminator will eliminate – not just mask – the TOUGHEST laundry odors in just one wash. Use Febreze In-Wash Odor Eliminator with your detergent to get your laundry extra fresh. No more sniffing the washed laundry and running a second cycle. Outsmart Stains. Stains are easiest to remove when they are pretreated. When ever possible, treat a stain right when it happens, even if that just means dabbing it with water. Before a stained item goes into the washing machine make sure you treat it with your favorite stain remover. 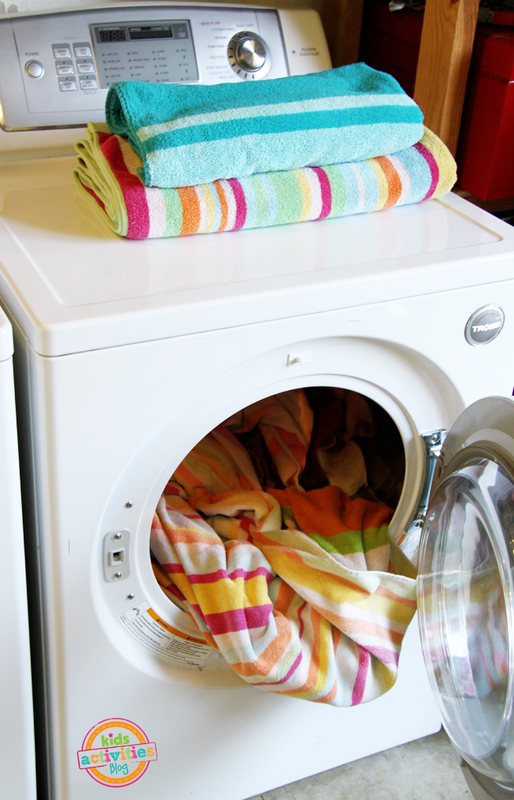 If your item comes out of the washer still stained, don’t dry it, that will set the stain. Retreat and wash again. Mark That Load. 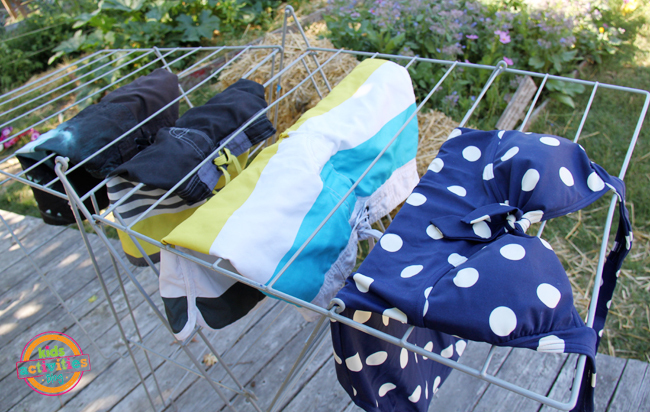 Delicates that need to be hung dry can easily get lost when you’re switching a load. Avoid frying the elastic in your bathing suit by marking your washer. Write on your machine with a dry eraser, place a bright magnet, or even a post it note, to remind yourself (or your helpers) that the load contains delicates. Set A Timer. I can’t tell you how many times I forgot to switch a load of laundry only to discover a mildewed mess the following day. That is until I started setting the alarm on my phone to alert me when it was time to switch loads. Hang Dry. Laundry dries extra fast outside in the summer. Use all that sunshine and heat to your advantage. Plus, how doesn’t love to climb into a bed made with crisp sheets on a hot night. Shorten Drying Time. Don’t leave all those tennis balls on the court. Toss a few in the dryer with your next load. Your laundry will dry faster and come out fluffier. Fold Straight From The Dryer. This tip works especially well with towels, which seem to be perpetually dirty in the summer months. Fold them as they come out of the dryer. No more laundry baskets sitting around and being riffled through while you try to find the time to fold. 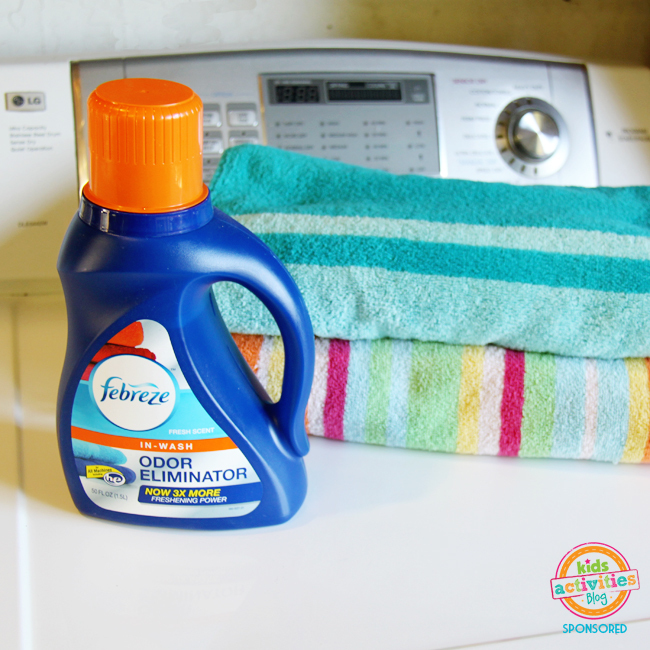 If you try only one tip for making summer laundry easier, I hope it’s using Febreze In-Wash Odor Eliminator. Even the stinkiest laundry comes out smelling fresh after just one wash. Visit Febreze for a $2 off coupon. This post was sponsored by Febreze. As always all words and opinions are our own. Thank you for supporting the brands that make this blog possible. 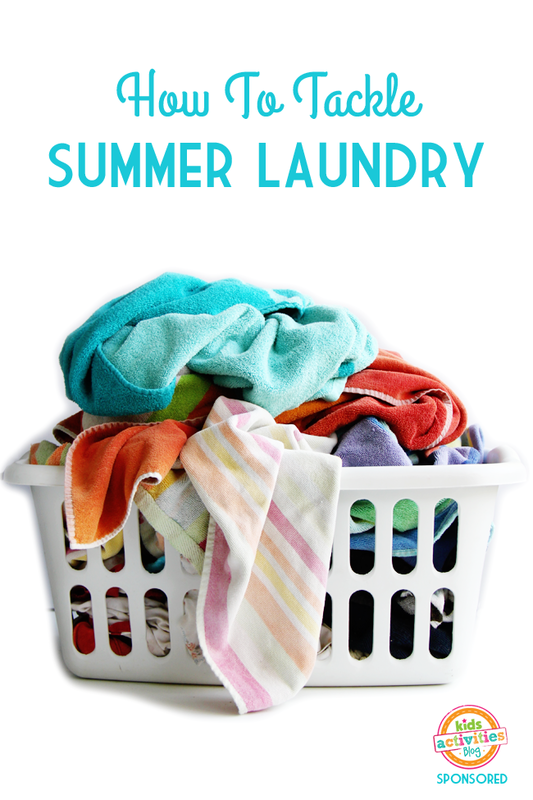 The post 10 Tips To Tackle Summer Laundry appeared first on Kids Activities Blog.